Everything you ever wanted to know about shooting video in Dallas. Prior to arriving in a new city, every producer needs the lay of the land. This guide explores everything about Dallas, TX that producers need to know. They don’t call it “Big D” for nothing. Whether you’re in town debating big ideas with your company at a conference, tasting big flavors as you explore Dallas’ flourishing food scene, or exploring the nation’s biggest art district, it’s all waiting for you in North Texas. Many tourists expect to see horse and carriages with cowboys roaming the streets but are surprised to find a metropolitan culture and pride amongst the locals. Everyone embodies the state’s ethos: the bigger and bolder, the better. Dallas is known for its range of neighborhoods and, in order to get the full effect Dallas offers, it’s important to visit all of them. Downtown Dallas holds local nightlife, West End is rich with history, Uptown has high-end shopping and dining, the South is for the Texas fair and museums, and the Bishop Arts District holds a hipster and eccentric lifestyle. Even though Dallas is vastly approaching more of a hip culture, it still holds tremendous amounts of historic landmarks and events open to the public such as the Texas Theater where Lee Harvey Oswald was arrested. Bonnie and Clyde’s graves are located in Dallas as well as the Starck Club. With Dallas being a major city in Texas, finding something to do won’t be too difficult. Some popular options include the Savor Dallas Festival if you’re wanting to explore all that Dallas has to offer through music and food. Outdoor concerts are popular year-round since the weather permits it, especially those held at Decks in the Park. The Dallas Autumn Ball is the spot for people to dress up, have fun, and support a good cause. Crush Dallas puts a fun spin on the common idea of having a secret Valentine, and among other festivals and events, Dallas opens the doors for all walks of life when it comes to having a good time. With Dallas being in the south, sports are quite important amongst the locals. When you have “America’s Football Team” as your home team, Sunday night football is a must-watch in Dallas, TX. The Dallas Cowboys have brought together the state of Texas, and with their cheerleaders taking over America’s hearts, the Cowboys are a must when visiting Dallas. The Dallas Stars are their local NHL team, the Mavericks is the NBA team, and FC Dallas holds the spot for MLS. Dallas, TX offers an abundance of higher education opportunities including Texas A&M University, University of Dallas, and Dallas Community College. With Dallas being a major city in Texas, finding a place to stay will be the least of your worries. Hotels are located all over downtown Dallas and its outskirts. Some include the Fairmont Dallas Hotel, the Hilton Anatole, and the Hilton Garden Inn Downtown. Something closer to the airport includes the Hyatt Regency DFW Int. Airport Hotel. 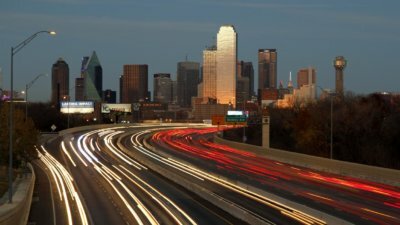 Dallas is a city where most people use their own transportation but be cautious of tourist seasons and traffic time when choosing to drive or rent a car. Dallas also offers their own public transportation DART, their metro bus system. Austin is located about three hours from Dallas and Houston is about three hours and 30 minutes. The Dallas/Fort Worth International Airport is located about 30 minutes from downtown Dallas as well as Fort Worth. Overall, most attractions within Dallas will take about 15 minutes to get to by car and of course, car services such as Uber are always available and popular. Dallas has a mild humid climate year-round. It’s hottest month July can reach temperatures of 97 degrees and it’s coldest month January reaches about 54 degrees. It has been known in the past to get hotter in winter months than the average city so prepare to dress for any weather when coming to Dallas. During the summer months, be sure to stay hydrated and dress cool during shoots. Click HERE for a current 10-day forecast of Dallas, TX. Crews across the country have a set of guidelines by which they conduct business. And as different as each city is from another, so are those guidelines. Every producer should have a basic understanding of each city’s standards. Shoots in Dallas are based on a ten hour day and the crew is on the clock at the specified crew call. Overtime at a rate of time and a half begins after ten hours. If your shoot takes the crew to a distant location, travel time can be expected. A distant location is any location outside a circle with a 30-mile radius drawn around the city. But all of these are just guidelines; certainly, verify with your crew their specific policies. If you have additional questions about Dallas you can always contact the city’s Chambers.